Tesla is starting to have some competition. We lay out the pluses and minuses of the new base Tesla Model 3 against the new longer-range Nissan Leaf Plus. One of the biggest makers of recreational vehicles looks poised for more electric ones thanks to a new deal. And despite Volkswagen’s big plans to transition to electric cars, its worldwide diesel sales are still growing. All this and more on Green Car Reports. For buyers who want an affordable, long-range electric car, the choices have gotten bigger as Tesla has introduced a more affordable model, and Nissan (and Chevrolet) have increased the driving range in their offerings. We take a look at what buyers of the base Tesla Model 3 and the long-range Nissan Leaf Plus get. Despite VW’s efforts to put its diesel emissions scandal behind it and transition to building electric cars, a report from the company showed it still sold more diesels in 2018 than it did the year before. Building more electric off-road vehicles could be a good way to introduce a new segment of customers to the benefits of driving electric vehicles, and a new deal by Canadian outdoor equipment company Bombardier Recreational Products to buy the assets of a defunct electric-motorcycle startup could do just that. And our latest Twitter poll results show that Tesla stores still matter to our readers—a lot. 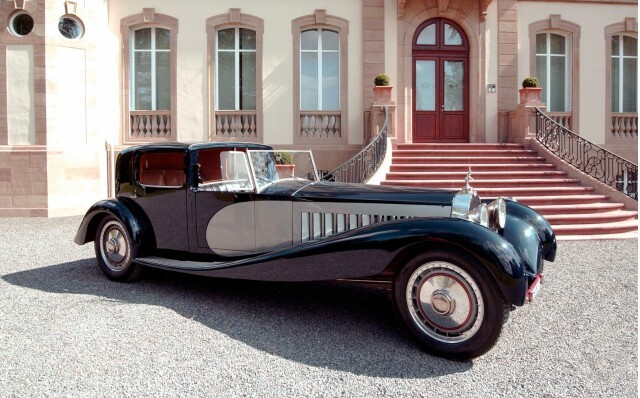 Among the rarest, most iconic, and valuable collector cars is a series of giant Bugatti Royales. Now the storied manufacturer owned by Volkswagen may revive the Royale as an electric car based on the electric J1 platform of the upcoming Porsche Taycan and Audi e-tron GT. Finally, President Trump is traveling to Ohio today, where blue collar workers such as those recently sent home from GM’s Lordstown factory helped send him to the White House. The President is demanding that GM “do something quickly” to save those jobs, but the company hasn’t given any indication of changing course.